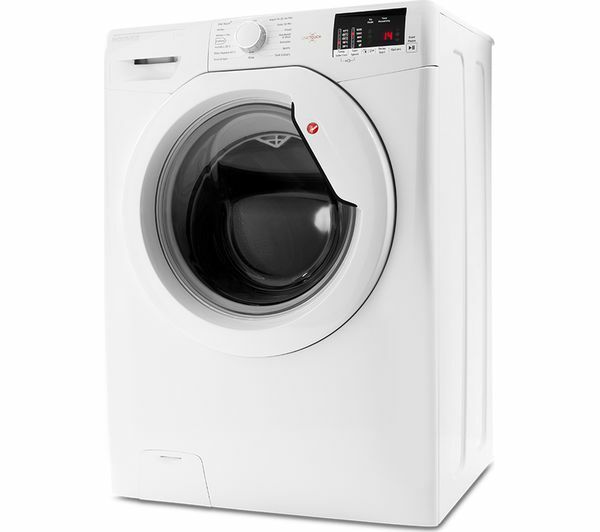 The versatile Hoover Dynamic Link DHL 1492D3 Washing Machine offers a great number of options to cover all your laundry needs – including delicates and wool. 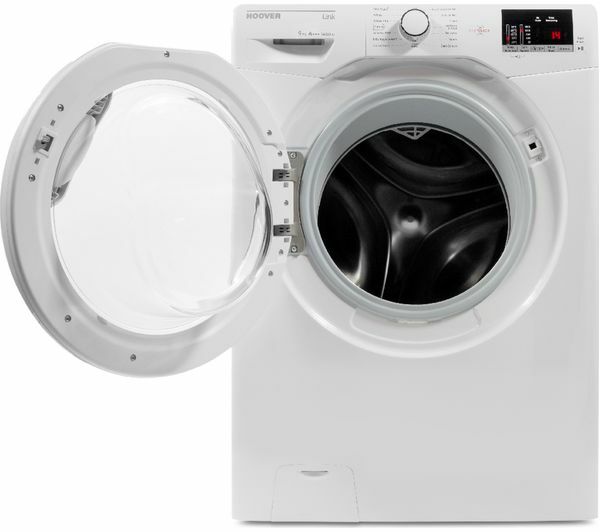 When you're washing a smaller load, the machine can provide an ‘A' rated wash in just 59 minutes. One touch control offers a clever solution that works as simply as a contactless payment system. With an Android smartphone you can control, monitor, and manage the machine through the Hoover Wizard app. Monitor energy levels, download new wash cycles, troubleshoot the machine, and operate settings remotely. There's even a handy voice assist feature. 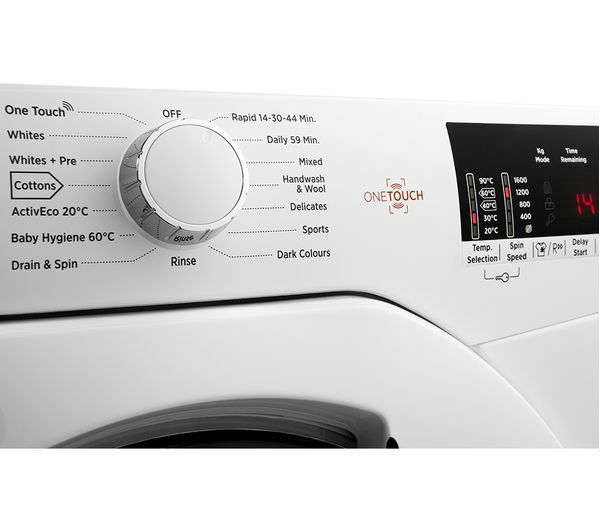 The DHL 1492D3 uses advanced electronic controls to constantly monitor and adjust the wash process throughout the cycle, resulting in great results every time. 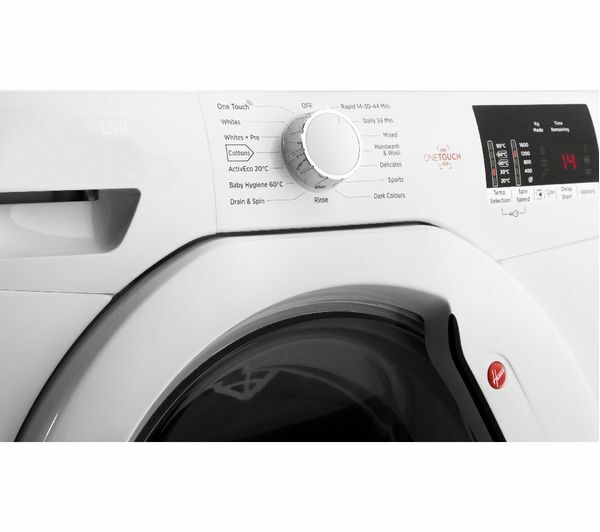 KG mode saves energy by weighing the laundry, then adjusting the cycle time, water and electricity consumption to suit the size of the load. 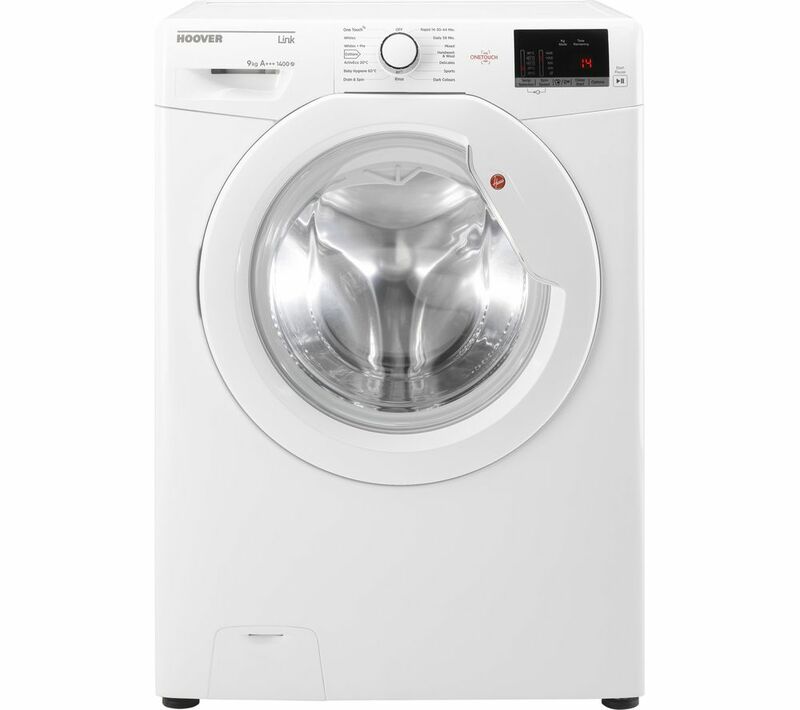 With an energy rating of A+++, your washing machine saves energy and is kinder to the environment. 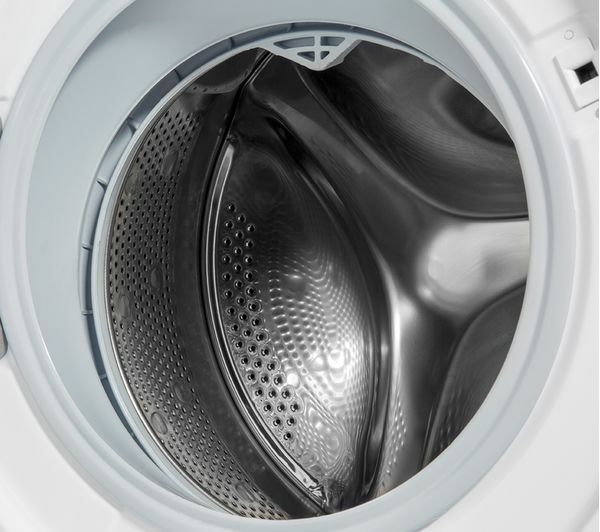 A maximum spin speed of 1400 rpm reduces drying time by removing more water from your clothes.